Rosslyn Castle and chapel are sited on a cavern system that extends many miles north and east to Cousland and to Goblin Halls at Gifford. Edinburgh and the Lothians appear to be situated on a tunnel and cavern network and ancient underground constructions that were built in another epoch of this planet. 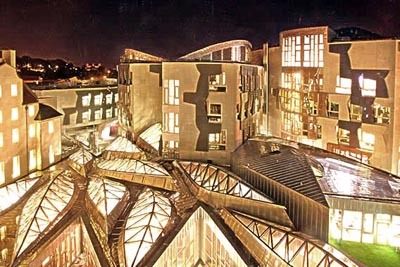 `The new Scottish parliament that looks somewhat like an alien ant hive is built on top of the tunnels, as is Holyrood palace and Edinburgh castle and this underworld can be accessed in various parts of the town. 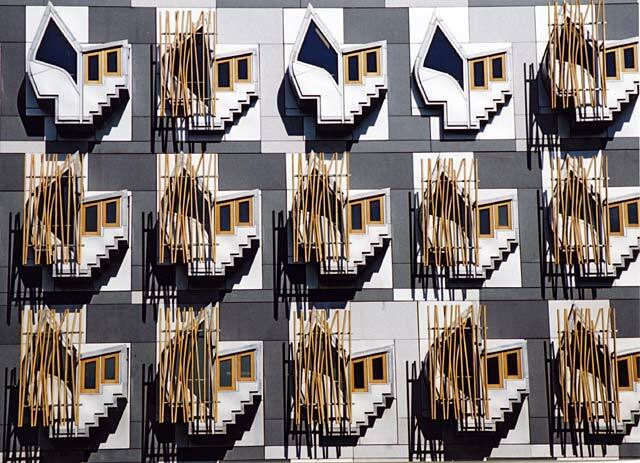 Next to the site of the Palace and the new parliament building is an old 19th century architectural folly or ornament of a miniature faerie palace to honour and placate the beings that traditionally stay in the immediately adjacent Calton and Abbey hills. `An entrance to the tunnel and cavern system formerly used by 19th century witches in Edinburgh’s central hill, the extinct volcano called Arthur’s Seat was sealed up by order of the town council nearly 200 years ago to stop people entering these places never to return. `Two construction tradesmen in 1980 witnessed and were chased by a green and glowing reptilian apparition whilst conducting repairs inside the caverns of the castle rock. A Scottish Tour Guide who was employed to show tourists the three levels underneath the Royal Mile between the castle and the palace took the night off and went exploring. Finding himself off the map at level 4, he went down to a sixth level with what looked like many more to find, when he decided to turn back. various theories regarding what the 322 means. See: http://www.rinf.com/columnists/news/...lly-discovered and www.commondreams.org/headlines04/0122-10.htm / http://www.jeremiahproject.com/newwo...nworder03.html . or google skull and bones 322.
and slaves were hired from their owners." http://www.bibliotecapleyades.net/ex...olitics_ZB.htm . entity to the core, it has been labeled as being like no other city in the world. www.corabettthomas.com/savannah-history.html and http://www.georgiaencyclopedia.org/n....jsp?id=h-2547 . down 80%. He also attended illuminati linked Oxford University. www.bibliotecapleyades.net/esp_icke06.htm and http://www.hpanwo.blogspot.com/2007/...in-oxford.html . The Evidence: To begin with, what is the connection between the three entities? illuminati numbers into locations using them as numbers for lines of latitude and longitude. b). 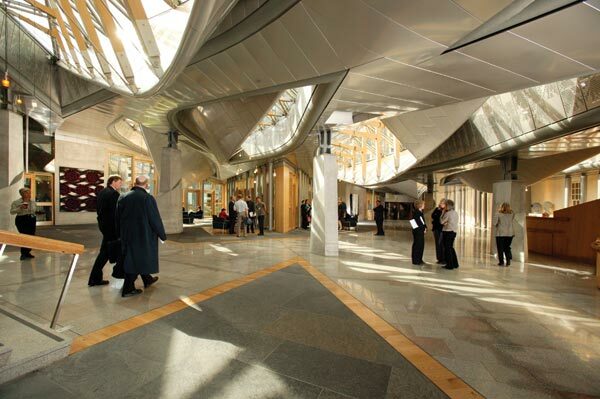 The longitude of Edinburgh , Scotland, Capital City of Freemasonry is 3.22 degrees. www.gaisma.com/en/location/edinburgh.html . c) The Taft family is the leading satanic bloodline associated with the Skull and Bones krewe. (the only man to be both) and a Freemason. www.nndb.com/people/288/000026210/ . 32.2 N. Latitude, scroll down to Savannah. http://www.mapsofworld.com/lat_long/...at-long-s.html and other sites put it at 32.02 N. Latitude. (zero has no value in western numerology). www.anythingweather.com/current.aspx?id=4571 . first masonic planned city in the USA?